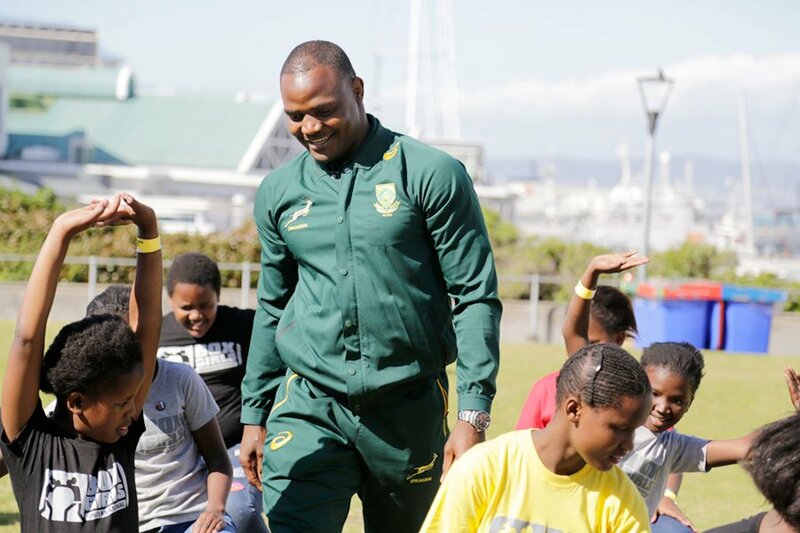 The Laureus Sport for Good Foundation South Africa and the Springboks hosted a special community-building sports activation in Cape Town at the Waterfront today, ahead of the Newslands Test Match. 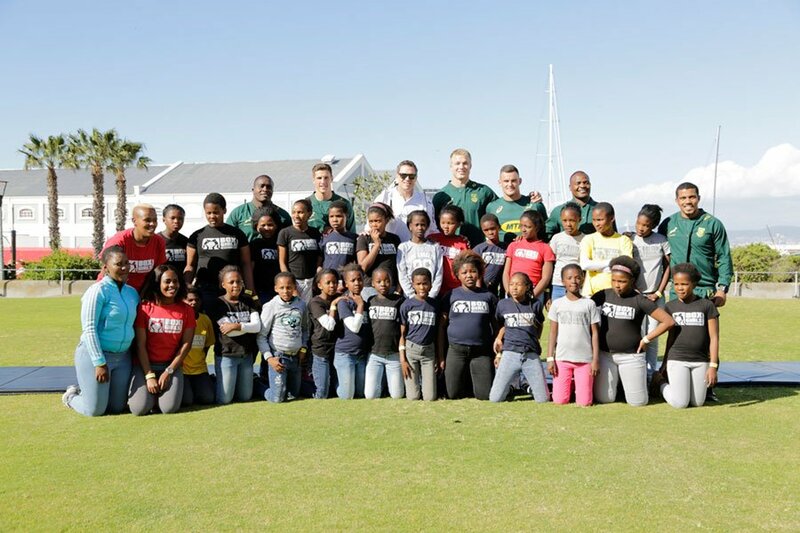 A number of current Springboks, including: Pieter Steph du Toit , Jesse Kriel, Louis Schreuder, Trevor Nyakane and Rudy Paige as well as Laureus Ambassador and former Springbok Captain, Jean de Villiers all participated in a fun filled day with kids from two Laureus funded projects, the Zip Zap Circus School and Boxgirls SA. The Laureus Sport for Good Foundation funds, supports and promotes the use of sport as a tool for social change. The Foundation has a network of over 140 sport for social change organisations around the world using sport in innovative ways to tackle some of society’s most pressing challenges facing our youth. Zip Zap Circus School, founded in Cape Town in 1992, to inspire young people and help build a new culture of peaceful co-existence in South Africa.Working with a diverse community of children from all backgrounds, Zip Zap helps kids to ‘dare to dream’ and learn to make those dreams a reality. All Zip Zap’s programs are offered free of charge to its participants. Both nationally and internationally, Zip Zap is recognized across Governments, Ministries of Education, Tourism, Arts & Culture and private societies, as a major contributor to the development within the iconic ‘Mother City’ and providing sustainability of the circus arts in South Africa. Zip Zap is dedicated to supporting and conducting training in circus arts and performance as a powerful tool for social transformation, youth empowerment, team building and community upliftment. 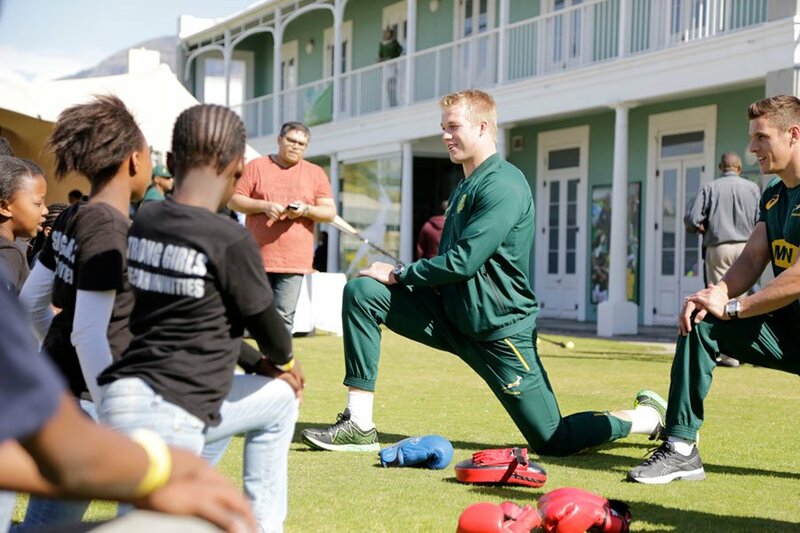 The programs provide opportunities for young South Africans from very different backgrounds to play, learn and live together using the medium of circus training and performance to model and demonstrate the possibility of true coexistence. Zip Zap operates predominantly within the Western Cape. Boxgirls South Africa,works as a partner organization of Boxgirls International. Boxgirls International is a network of sports for development projects around the world using boxing as a catalyst for social change for women and girls. They work with partner projects to deliver excellent coaching through club and school programs where woman and girls develop life skills, self-defense skills and take an active role in school and community leadership. As an advocacy organization Boxgirls International reaches out to decision makers in business, government and media to make the case for women’s sport, economic and social participation. i think so The programs provide opportunities for young South Africans from very different backgrounds to play, learn and live together using the medium of circus training and performance to model and demonstrate the possibility of true coexistence. Zip Zap operates predominantly within the Western Cape.